You hear repeatedly that nothing connects Casey Anthony directly to Caylee’s death. See for yourself where the trail leads. Casey Anthony is the last person to be seen with Caylee. Casey took Caylee from her parents’ home on June 16, 2008 and Caylee Marie Anthony was never seen alive again. You hear over and over that Casey didn’t report Caylee missing for 31 days. Casey Anthony did not report her daughter missing at all. It was Caylee’s grandmother, Cindy Anthony, who reported Caylee missing. 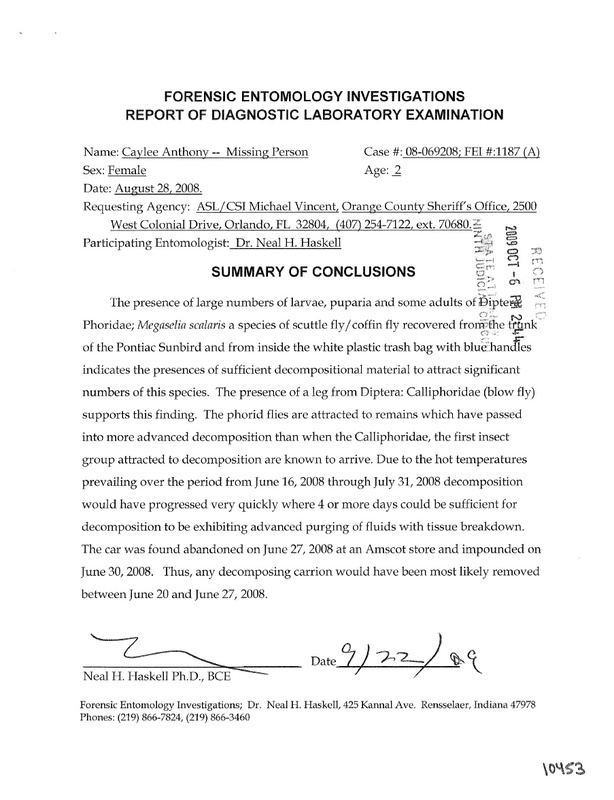 Casey Anthony did not file a missing person report. Why? She lied to the police. Why? She lied to family and friends.Why? She lied to everyone about everything. Why? I realize that some of you may have a problem that Dr. Garavaglia ruled Caylee’s death a homicide. Buuut she is not a housewife giving an opinion. Dr. G is the Chief Medical Examiner of District Nine in Orlando, Florida—with 25 years experience. “There’s no child that should have tape on its face when it dies,” Dr. G insisted. She also testified that 911 is called 100% percent of the time in the accidental drowning of children. Casey as a parent: Casey’s friends testified that she was a good mother. Anyone can be nice for periods of time; it’s caring for a child day in and day out that is the true test of parenthood. How many friends saw Casey in this parental role? Chloroform: Expert Dr. Vass testified the levels of chloroform in the Pontiac trunk were “overwhelmingly high.” Did Casey use chloroform nightly to put Caylee to sleep? If she had all that chloroform … Why the Duct Tape? 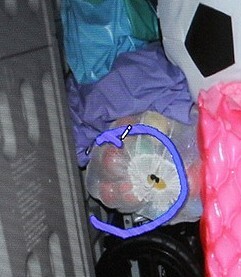 Duct Tape: The Henkel brand duct tape was found on the gas cans from the Anthony shed, on missing Caylee posters. It was found on her skull in the woods. Some say this ties the tape to George Anthony. Casey broke into the family shed with boyfriend Tony Lazarro and stole gas cans; if there was duct tape inside, in the garage or in the house she could have taken it. Laundry Bag: On June 16, 2008 when Caylee died, Casey asked a neighbor to borrow a shovel. The same day he saw her Pontiac backed into her parent’s garage. Whitney Design laundry bags were in black trash bags on the shelf. Cindy Anthony testified that one bag is missing. 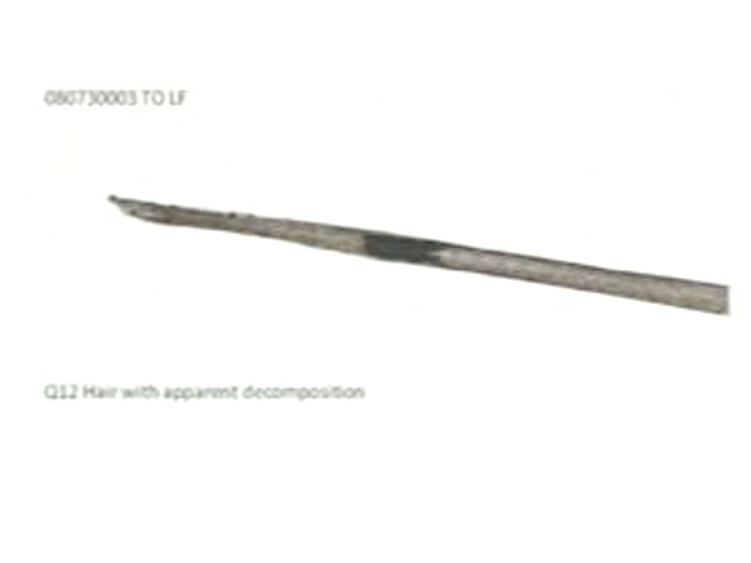 Caylee’s remains were found in a Whitney Design laundry bag – inside black trash bags. Caylee Drowned: The defense claims that George Anthony found Caylee drowned in the family pool—that he blamed Casey for negligence and covered it up. If Caylee drowned what did George do with her body? George Anthony loved his granddaughter. I cannot believe he would not do CPR and call 911 as soon as he pulled Caylee from the pool. The entomology expert testified evidence proves a body lay in the trunk for 3-5 days. So you would have to believe this grandpa put his 2 ½ yr. old granddaughter in the trunk of Casey’s car, wrapped her head in duct tape and walked away. 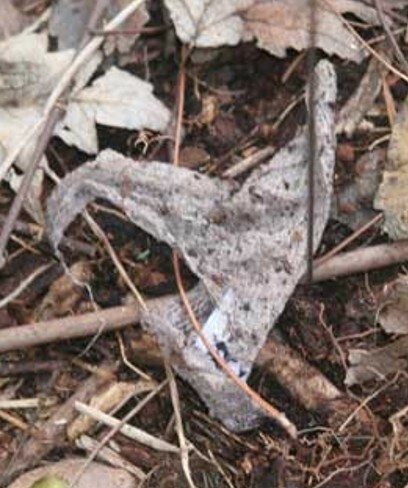 Came back after Caylee had decomposed, wrapped her in the Winnie the Pooh blanket, put her in the laundry bag from the garage, placed her in black trash bags and took her to the wooded area 15 houses away. No matter how much a parent loves a child there is no way he could do this to a grandchild he adored. Why the Duct tape … if Caylee drowned? Casey’s Demeanor: Casey shopped, danced and partied during the 31 days that Caylee was missing according to her friends. They testified that she was happy. On June 10, 2011 there was an incident in the courtroom that showed the true Casey Anthony. The jury was sent out of the courtroom while the judge ruled on a superimposed photo of Caylee’s face over her skull. Casey frowned at the monitor; she really looked angry. The jury came back and was shown the images. Casey then broke down in tears and leaned her head on the attorney’s shoulder for comfort. 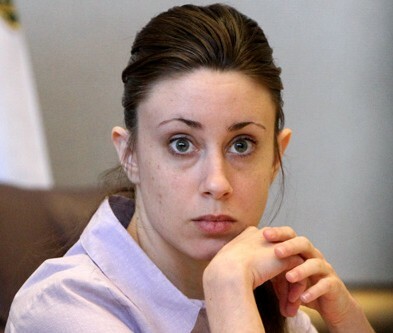 Motive: Casey Anthony was under a lot of pressure — Caylee hindered her freedom. She was fired from her job at Universal Studios but for two years pretended to go to work. This meant that Caylee was tied to her 24/7, on nights when Cindy couldn’t babysit, for hours on end she had to keep Caylee entertained—it ate up her freedom. Friends testified there were times Casey couldn’t go out because she didn’t have a sitter. Casey also needed money for food and gas so she stole from her mother, friends and grandmother. More pressure. Everything changed after June 16, 2008 when Caylee disappeared. Photos and videos show that Casey shopped, partied, danced, and drank; was in a “hot body” contest, at Blockbuster with her boyfriend renting videos. Caylee was missing for 31 days and Casey did nothing, supposedly she drowned and Casey did nothing, she was thrown like trash into the woods and Casey did nothing. What she did was get a tattoo … two weeks after Caylee disappeared. 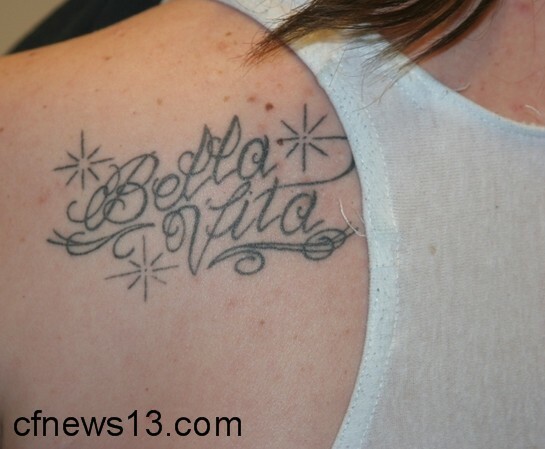 Bella Vita is Italian for beautiful life. I don’t know. I think the defense has a mountain to climb. What about you? This entry was posted in Crime and tagged Caylee Anthony homicide, Caylee Marie Anthony, Chloroform, Coroner, Duct tape, murder, Nancy Grace, Orlando Florida. Bookmark the permalink.